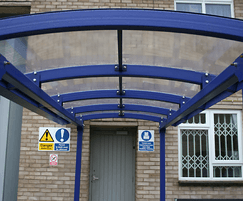 Canopies and walkways are manufactured in a range of lengths and widths, making them suitable for a variety of applications. 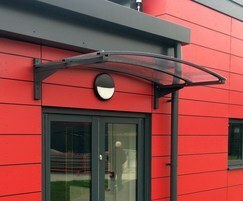 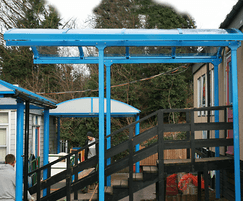 They are particularly suitable for businesses and schools, to provide sheltered areas or cover spaces between buildings. 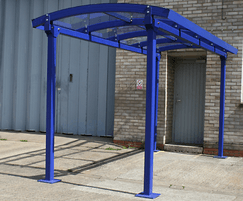 Canopies are manufactured in a 'lean-to' design. 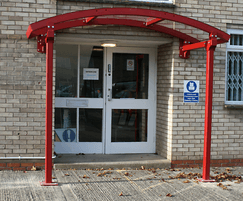 They have two fixed legs, and are attached to a supporting wall or structure. 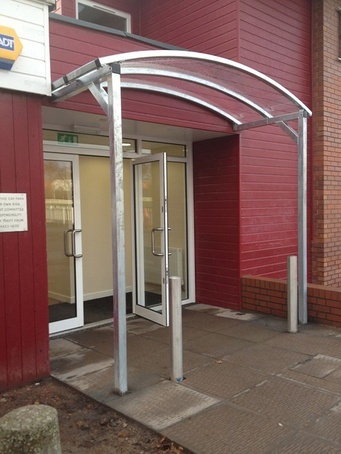 Walkways are freestanding and have four legs which are fixed to the ground. 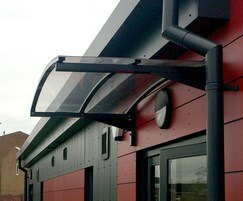 Extension bays are available, and guttering and side panelling can be specified at an additional cost. 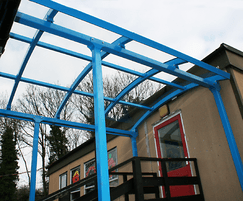 Huws Gray is one of the largest builders’ merchants across the UK. 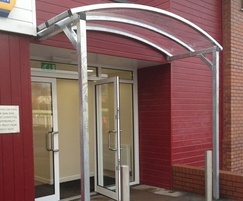 To enhance their image they were looking to standardise their entrance ways across all branches, and improve their customers' experience.